The towel bar is 24 in. 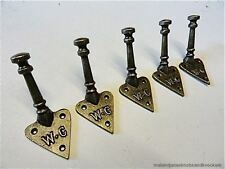 A LOVELY QUALITY SET OF 5 ARTS AND CRAFTS STYLE WC COAT HOOKS. PERFECT FOR WALLS OR DOORS. This is considered with the pricing of the item. i.e. major dents, scratches, cracks, etc. DELTA Silverton Collection 5 Piece Bath Kit Venetian Bronze Finish. 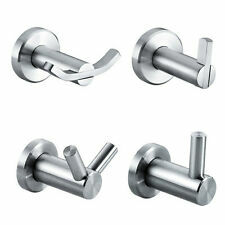 1 Multi-Purpose Hook & 1 Pivoting Toilet Paper Holder & 1 Towel Ring. Toilet Paper Holder · Toilet Paper Holder. 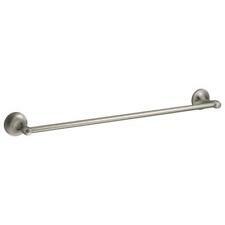 1 Towel Bar 18" & 1 Towel Bar 24". Mit Ablage. Allibert Corfou. Sie sind zur Rückgabe gebrauchter Batterien als. Die auf den Batterien. dass die Batterie nicht in den Hausmüll gegeben werden darf. abgebildeten Symbole haben folgende Bedeutung. DELTA Kennison Collection 5 Piece Bath Kit Venetian Bronze Finish. 1 Multi-Purpose Hook & 1 Toilet Paper Holder & 1 Towel Ring. Toilet Paper Holder · Toilet Paper Holder. 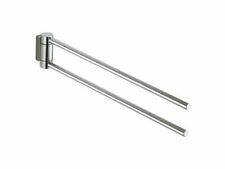 1 Towel Bar 18" & 1 Towel Bar 24". Newport Brass - 83-02/26. (Continental US only). Aluminium runner and rails, plastic running gear. 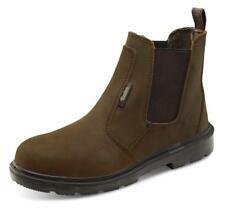 Length 330 mm. 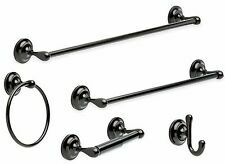 4 PC of Dark Oil Rubbed Bronze Bath hardware with 24" Towel Bar. Finish close to Delta Dark Oil Rubbed Bronze. One PC of Toilet Paper Holder. 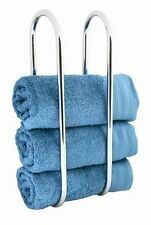 24" Towel Bar 3 PC Combo 18" Towel Bar 3 PC Combo 24" Towel Bar 4 PC Combo 18" Towel Bar BA12 Series. This towel rails has two arms for hanging your kitchen towels on. Both arms extended on a runner system. - 1 complete towel rail with 2 arms. allowing them to be extended the towel hung on neatly and then pushed back into place. 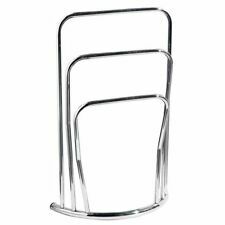 This beautifully designed towel rail made from high quality stainless steel has a heat output 268 watts (914 Btu/hr) making it excellent value for money. 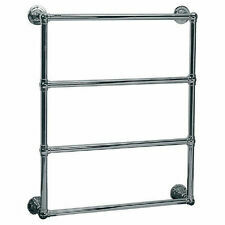 This bathroom towel radiator is made from a high quality designer range. ANTHRACITE ANGLED RADIATOR VALVES 15MM 1/2. colour Anthracite (grey). This is for a pair of angled radiator valves only. We will always help you to have a 100% positive happy buying experience. View Our Categories. For those who like a super modern, minimalist twist to their bathrooms, the DuraTherm Straight Radiator Valve pair in Anthracite are the ultimate in contemporary sanitaryware. Whether you’re adding to your existing bathroom radiator, or purchasing alongside the matching DuraTherm Anthracite Radiator, these valves are as high in quality as they are stylish. Polished brass finish is warm and bright for a classic, highly reflective look. (Continental US only). SCHÖNER NOSTALGISCHER HANDTUCHHALTER MIT KORB. Ca. 20cm HOCH, 60cm BREIT UND 4,5cm TIEF. DER KORB IST 10,5cm TIEF. 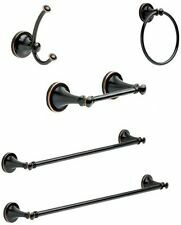 Moen Vestige Bathroom Towel Ring YB56860RB Oil Rubbed Bronze. New in an opened box. Box has some damage but towel ring is in new condition. Made in Wales from iron pipe,cast fittings & copper tube to give a great industrial look. People all over are regretting gutting or tearing out and replacing key features of their Mid Century Modern bathrooms in the 90's and 2000's, whether they did it themselves or if it was a previous owner. Round towel ring-Polished Nickel finish Free Shipping Ships Same Or Next Business Day Inspirations by MOEN Round towel ring REED Collection. ---Moen P/N DN1086NLBN. ---Finish: Polished Nickel. ---Condition: New. ---Easy to install and comes with mounting hardware and instructions. When purchasing a radiator for your bathroom, you need to consider which valves you want to choose at the same time. Valves are vital for a radiator to work; they determine the flow of water and temperature regulation, so your room can stay warm and toasty and your radiator safe and working to its fullest potential. When you get a new radiator for your bathroom, you also need to purchase valves to go with it. Valves are vital for controlling the water flow, and therefore the heat, that goes into your radiator. The type of valve you choose depends on your pipes, on the kind of radiator you have and your own individual taste when it comes to bathroom accessories. All DuraTherm valves are crafted from a deep understanding of bathroom plumbing: in no room is it more important to have high quality, durable pipework and sanitaryware. Stay warm and protect your bathroom from damp and mould by installing a professional set of valves. For those who love classic bathroom design, these are the perfect valves for you. The traditional cross head shape matches traditional taps and make adjusting your . PAINT ANY COLOR YOU WANT. I TRY AND EXPLAIN. 12" TALL TO TOP OF FINIAL. 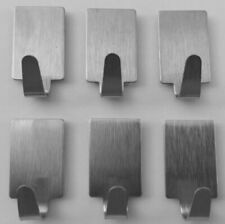 The brackets are very strong and will support any towel rails. - Warm towels all year round. 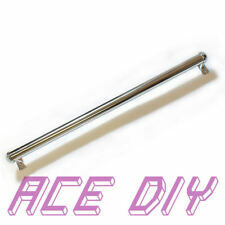 (You can not convert Traditional/Victorian towel rails to dual fuel). They are adjustable and will allow you to alter the distance from the wall to the front of the towel rail between 65mm - 80mm. Diese klappbare Leiter aus Bambus ist ein echter Hingucker in Ihrem Heim. Frei in den Raum stellbar. Ideal für viele kreative Ideen. Weitere Details zum Produkt finden Sie in der vollständigen Artikelbeschreibung. Translucent plastic square rod that fits certain tile-in ceramic towel bars. Smooth outside, ribbed interior. Rod has not been installed. Rod has a fair amount of scratches and scuffs from storage. Convenient extra storage for your bathroom. Modern design. Both horizontal and vertical bars are heated. Eliminates mold / mildew growth. Freestanding & wall mounted design. Wall Mounted: Designed to make the most of available room space. Easy assemble: Includes wall mounting brackets and freestanding feet. Dekoriert mit Fischernetz, Seestern und Muscheln. Anker mit Haken. Deko Anker aus Holz - auf Antik gestaltet - in blau-weiss. GlossWhite Ceramic Brackets with 24" Clear Plastic Rod. (Note - all fired clay products vary in color.). Manufacturers installation instructions included. Attach to any flat surface with adhesives that are not included. It’s never been easier to create a seamless bathroom design. Just add a selection of our beautifully made GROHE Essentials accessories such as the slim yet sturdy 600mm towel rail – the perfect place to hang a bathroom towel. ZUR BEFESTIGUNG WIRD EIN DOPPELSEITIGES 3M KLEBEBAND BENUTZT. ZUR GLEICHEN ZEIT. ER IST AUS HOCHWERTIGEM EDELSTAHL TIEFE 80mm. “HANDTUCHHALTER. DIE HÖHE DES HALTERS BETRÄGT 30 CM UND IST SOMIT GUT FÜR. Instructions and mounting hardware are included for ease of installation. Zinc construction provides durability. (Continental US only). Made in Wales from 22mm natural jute rope and copper. 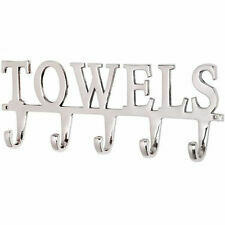 Industrial style towel or toilet roll holder. The rope is 90cm (3ft) long with a central copper piece that is 18cm long. Franklin Brass. Perfectly holds 1 hand towel to keep it at arms reach during your bath routine. Zinc die-cast construction provides long-lasting durability. 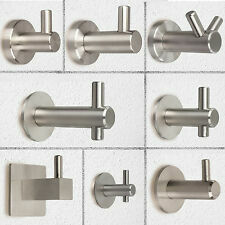 Wall mounted design for bathroom convenience and organization. Genuine MOEN part, flange kit. Flange is made of 304 stainless steel to provide a durable rust resistant finish. LOT 2 Clear Acrylic Plastic Towel Bar Rod Mid Century Modern Bathroom MCM 24"
Moen Towel Ring Oil Rubbed Bronze Kingsley #YB5486ORB - NIB!